new best of the worst album release postponed. SORRY if you have been sitting at your computer waiting! i’m sitting at a rest stop in new jersey, because this was the first place i could find internet. here’s the deal. the mixing and mastering on the album isn’t totally done yet. the engineer doing it could have put a rush job on it, but everyone decided it would be a terrible idea to compromise quality to meet a deadline, and i couldn’t agree more. the good news is: the album will be released sometime next week, not a million years from now. also good news: the guys put up a new song on their myspace to hold everyone over until the whole thing is released. 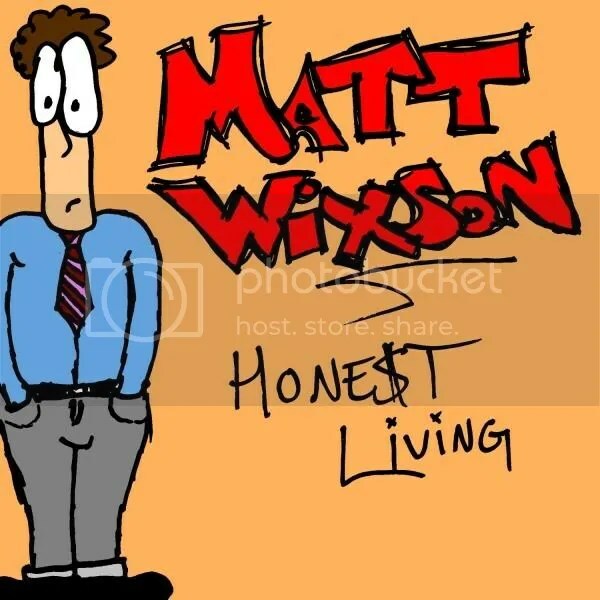 Jeff Sullivan of Hearing Aid Music did a review of Matt Wixson’s new album “Honest Living.” Thanks Jeff! Also, start getting stoked for The Best Of The Worst’s new album coming before the end of this year! This weekend, Lindsay and I took the train to Michigan to go see Matt Wixson and Green Room Rockers open the Detroit date of Ska Is Dead IV. What an awesome show. Every band was great, and good times were had by all. If you were in the crowd at any point during the night, you probably got your picture taken by Lindsay. She only got a chance to post about half the pictures before we got back on the train, but you can find those here: [facebook.com/lindsay.sanderson]. The rest should be up within the next few days or so! Add Lindsay on the old F-book and tag yourselves. I voted for mayor, school committee, and town council today. Did you? If not, you should probably download Matt Wixson’s new album, and listen to it on the way to the polls. 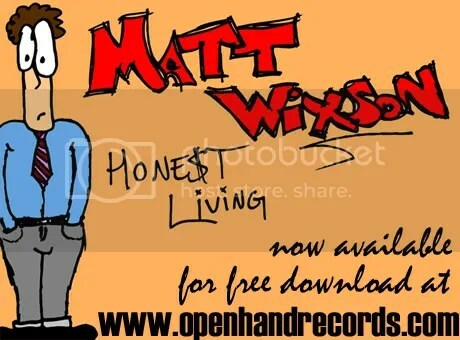 New Matt Wixson full length, “Honest Living.” Comparable in instrumentation to Best Intentions. If you love Matt Wixson (you do), then you will love this. Downloadable TODAY for free/donation in the “FREE MUSIC” section to your right. 9.) But What’s The Point? Liner notes are available at Matt’s [myspace page], and are ALSO included in the downloadable zip file. If you want to post this somewhere, please do. You are currently browsing the ***Open Hand Records - Good Music. Good People. *** blog archives for November, 2009.